Earlier tonight I took part in the final race in the Gravesend Floodlit Series. This is a series of 10k races, which take place at the Gravesend Cyclopark, this is a fantastic facility designed to facilitate both cycling and running around a 2.5km track, which used to be part of the old A2 road before it was widened. 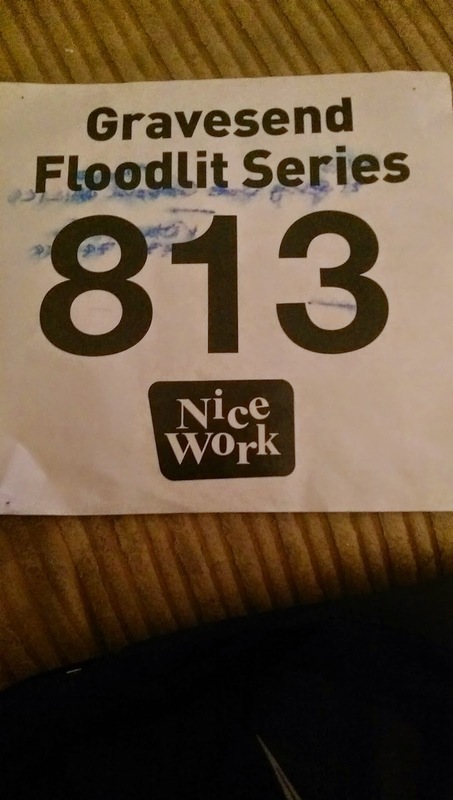 I had previously run the 5th race in this series and had finished the 10k race in a respectable time of 48:17. I had entered the 6th race in this series which was due to be held in March, but unfortunately I was unwell, so missed out on trying to beat this time. I'm not quite sure what happened during Mile 3, but it probably cost me a sub 45 minute 10k. So my finishing time for the 10k was 45:03, which I was absolutely delighted with. I cant remember the last time I ran close to 45 minutes for 10k and I've only ever run 10k sub 45 minutes twice and they were both a long time ago, so there is definitely the potential for me to do so, which makes me very happy! Bring on the summer and even faster times! This entry was posted on Thursday, 9 April 2015 at 21:43 and is filed under Running. You can follow any responses to this entry through the RSS 2.0. You can leave a response. 8 ways to kill your intranet and other problems!